“We never question Humanae Vitae because it has such wonderful fruits,” says one of founding members of Community of Nazareth, Brendan Lynch. 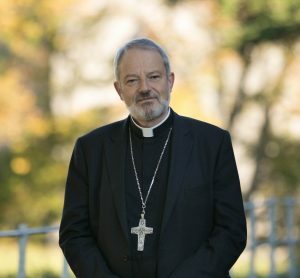 The Bishop of Elphin, Kevin Doran, will formally open a conference in Dublin tomorrow, marking the 50th anniversary of the papal encyclical Humanae Vitae. Bishop Doran joins three distinguished international speakers: Dr Maria Fedoryka (Ave Maria University), Dr William Newton (Franciscan University, Steubenville, OH) and Dr Marie Meaney (visiting professor ITI, Vienna). The conference, entitled ‘Love and Life in Marriage’, takes place tomorrow Saturday (4 August) from 2 p.m. to 6 p.m. in the Carlton Hotel, Dublin Airport. Admission is free and there is no need to book. Dr Maria Fedoryka is Associate Professor and Chair, Department of Philosophy, Ave Maria University, Florida, USA. She has recently contributed a chapter to the book, Why Humanae Vitae is Still Right (Ignatius Press). Dr William Newton, Associate Professor of Theology, Franciscan University of Steubenville, Ohio, USA is author of a book on Catholic social teaching entitled Civilization of Love: The Catholic Vision for Human Society (Gracewing Publishing) and is a co-founder of the Aquinas Institute of Ireland. Dr Marie Meaney PhD, who lives in Paris, is a graduate of Oxford. Dr Meaney wrote the booklet Embracing the Cross of Infertility, which has been published in Spanish, Hungarian, Croatian and German. The event is sponsored by Nazareth Family Institute (NFI) (which is part of the Community of Nazareth). The Nazareth Family Institute provides courses for Pre-Marriage Preparation, Marriage Enrichment, and Parenting – the most common being its Pre-Marriage Preparation Course, which it runs six times a year. The pre-marriage courses are designed for couples planning to marry in Church. Inter-Church couples are also accommodated and welcomed on their courses. Most of these courses have around eight couples. “So around 50 couples a year,” Mr Lynch told CatholicIreland. Around 700 couples have participated in these courses since they started running them. At their pre-marriage courses, couples are “particularly instructed on the availability and desirability of Natural Family Planning”. The Community of Nazareth is a lay, charismatic, covenant community in south Co. Dublin, Ireland made up of about 40 families (around 120 adults and 80 young people). 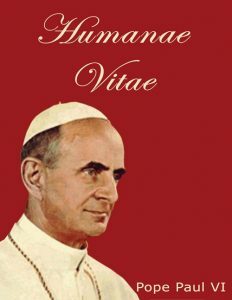 “We all think in the Community of Nazareth that Humanae Vitae is such a fabulous gift to the Church. We never question it because it has such wonderful fruits from it and it’s the way the Lord wants things to be,” said Mr Lynch, who with his wife Catriona is one of the founding couples of the lay covenant community.